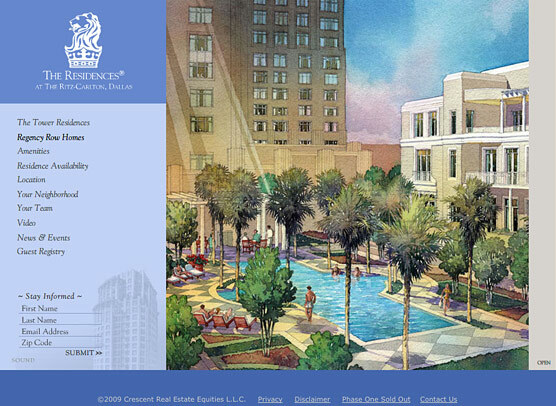 During the summer of 2006 we launched a teaser website to accompany an advertising campaign to “get on the list” for this new luxury residential offering. 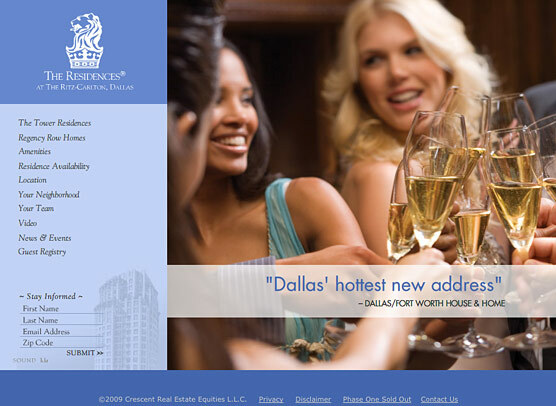 The summer campaign captured over 2,000 prospect contacts. 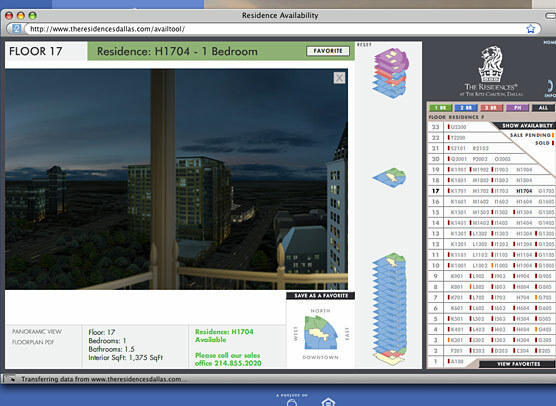 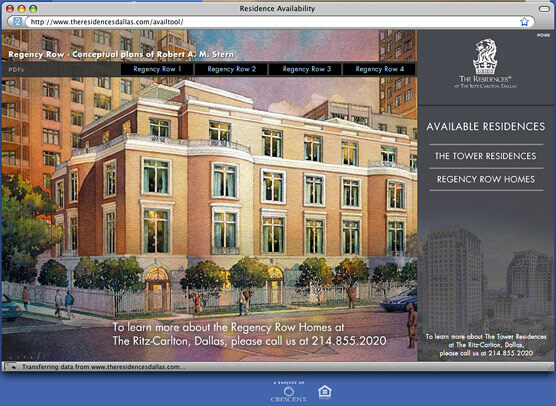 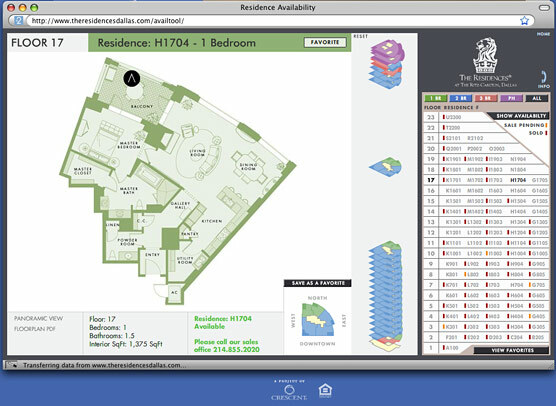 We launched the new website for Phase 2 of the project with a video fly-through of Dallas and an Available Residences feature that allows the prospect to easily navigate to any residence in the building, see the floorplan, animated panorama views, and the availability status.